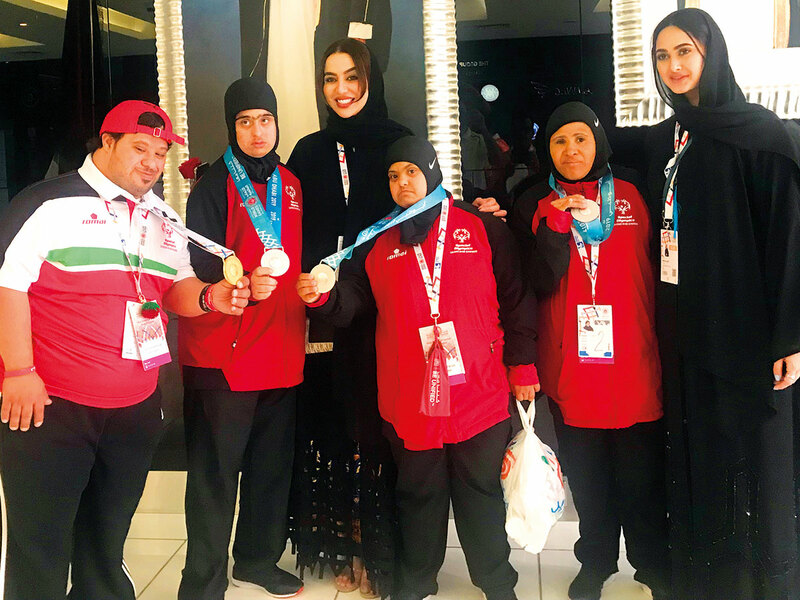 Abu Dhabi: UAE’s special athlete Hamda Ali Al Hosani couldn’t repeat her gold medal performance of 200m when she had to settle for silver in the 100m F38 final in the Special Olympics World Games at the Police Officers Club in Dubai on Monday. The gold medal was bagged by Argentina’s Cintia Anabella Muller with a timing of 14.65 seconds while bronze went to Ivory Coast’s Mey-Adjoba Marie-Michele Ohouo. The UAE had another athlete in the final six — Shirdal Momena — but she had to be content with the fifth place. 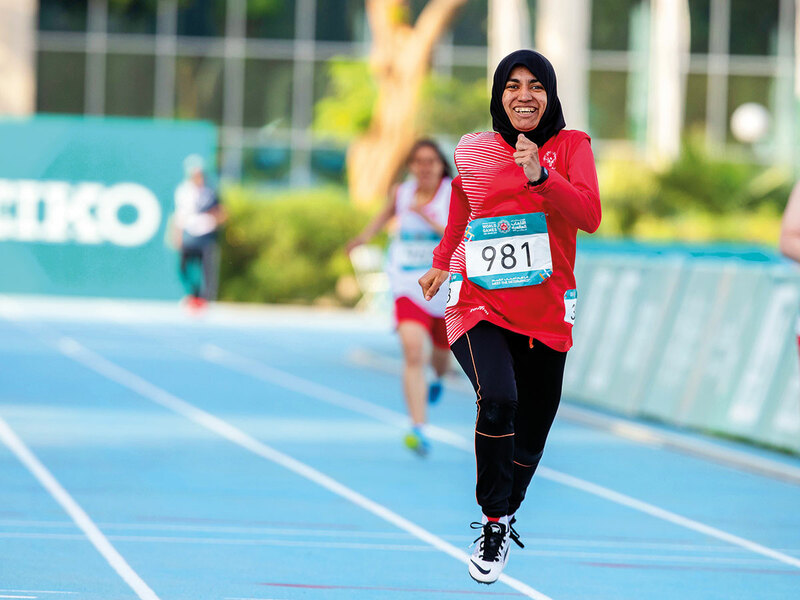 Hamda, who has been winning several laurels for the UAE since 2008 (including the gold in 100m in Mena Special Olympics), finished the race with a time of 15.47 seconds. She will, however, have another chance to add to her collection in the 4x100 metres relay on Wednesday. The UAE, meanwhile, have swelled their medals tally to 126 — 41 gold, 37 silver and 48 bronze at the time of going to the press. Nada Al Marouei and Afra Mohammad Al Mansouri won gold in the doubles bowling with a total of 602. UAE star Saleh Ali Al Merri had earlier provided gold in the singles along with Khaled Talib Salem. There’s a lot of passion in this team. We have tried a lot. We love them a lot and have nurtured them with care and that’s what is helping UAE to get these results. Abdul Aziz Mahdi also provided the UAE with a gold in the bocce M25 competition where the UAE were at their dominant best. All eight participants won a medal each — two gold, six silver. “Abdul Aziz has won a lot of medals for us in the past and we were expecting him to win. He suffers from Down syndrome but has a passion for this sport. Abdul Aziz has been around in the sport for 12 years now. He will also be taking part in the unified event,” said coach Fawaz Al Sayed Mansour, adding that this was the third gold that the UAE was clinching in the event. Mahmoud Jarour had earlier provided the UAE with a gold on Sunday. In the women’s category, following the footsteps of silver medallist Aisha Ahmad Bin Humaid, Alya Abdallah Al Hadhrami and Mariam Al Mulla also claimed a silver each. “There’s a lot of passion in this team. We have tried a lot and we are a family. We love them a lot and have nurtured them with care and that’s what is helping UAE to get these results,” said Safia Ouzougla, bocce women’s team coach. Meanwhile, there was plenty to cheer for the Henaghan family from Team Great Britain’s judo team — Daniel and Denise. Daniel and his younger sister Denise, won gold and bronze respectively at the Adnec arena. Denise had won bronze on the opening day of the competition while Daniel followed suit yesterday by winning gold beating Kristof Meeus of Belgium. “Being here in Abu Dhabi has been such a positive experience and such a great culture shock. I’ve been loving it all, and winning the gold means the experience has been even more special,” said a jubilant Daniel.